Kärcher has launched on the market the first battery-powered electric broom for commercial users, the EB 30/1. With its roller brush and dirt container, this newly developed model is a broom and dustpan in one. 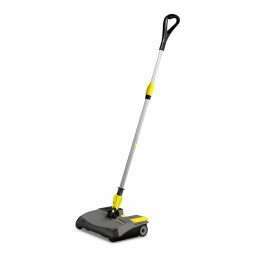 It can be used to pick up dirt from hard floors and carpets quickly, quietly (56 dB) and reliably during business hours. The extended battery running time makes this robust electric broom a very useful aide for, among others, office cleaners, hotels, restaurants, shops and end consumers. Ideal for Spot cleaning or small area cleaning.